The Festes de Sant Jaume are celebrated every year on July 25th. Sant Jaume is the same as San Jaime in Spain and Santiago or Santo Xacobeo in Galícia. In Mallorca, the saint is acclaimed in pueblos such as Alcúdia, Algaïda, Binissalem, Calvià, Portocolom, Santanyí and Sa Pobla. In most of these places, festivities start a week or so before the saint’s day and they might conclude a few days after. Last night, the town of Santanyí celebrated the end of its Festes de Sant Jaume with an act called Tic-Tac which was dedicated to the young population of the municipality, starting at 23h00. At the stroke of midnight, Sant Jaume‘s celebrations were concluded with everybody present eating 12 olives to the strokes of the church bells. 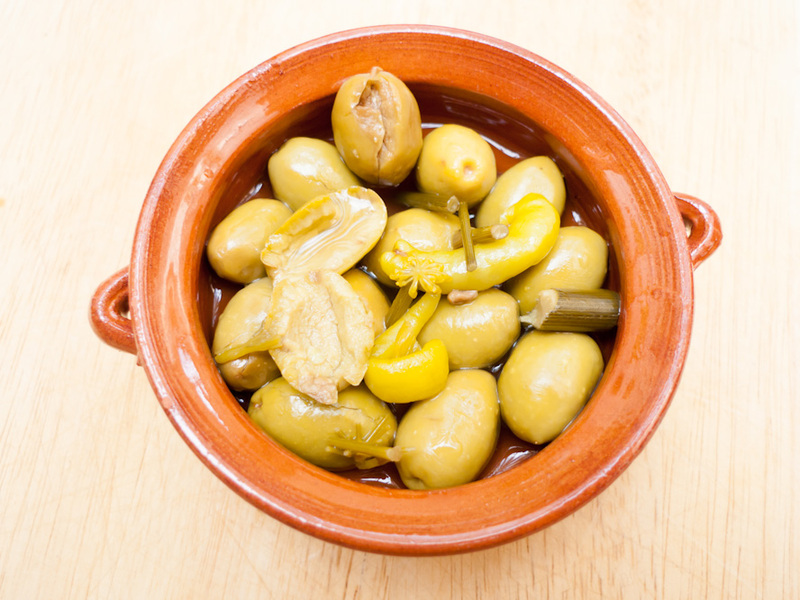 The custom dates back a few hundred years when everyone in Mallorca ate 12 olives at the stroke of midnight on New Year’s Eve. Olives were a staple food here on the island, as they still are to this day. The customary 12 grapes at midnight had not cottoned on here as it had in mainland Spain or as it has now. To my knowledge no other pueblo in Mallorca upholds the old tradition of eating 12 olives, neither at the occasion of New Year’s Eve nor at Sant Jaume‘s. Should you happen to know better, please let me know. The photo was taken in Felanitx, Mallorca, Baleares, Spain. The date: July 28th, 2012. The time was 18:33:28. Olives have indeed been used instead of grapes, but when you say this custom dates back a few hundred years and it was followed by everyone…, well, I doubt it very much. You well know how old and new, facts and legend intertwine in what is perceived as tradition. It only takes a generation or two and what it was yesterday’s fad becomes as old as the Conquesta de Mallorca. thank you, joan. sometimes i am a bit generous with my information without meaning to. “When the legend becomes fact, print the legend”, someone wrote. So, who is to say you are wrong?